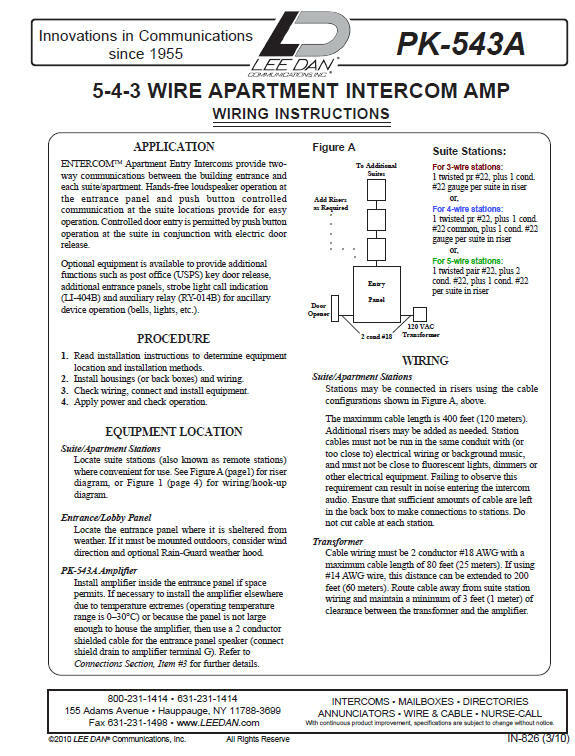 Application: The PK-543A Power Pack Intercom Amplifier is a self contained unit not requiring an external amplifier. 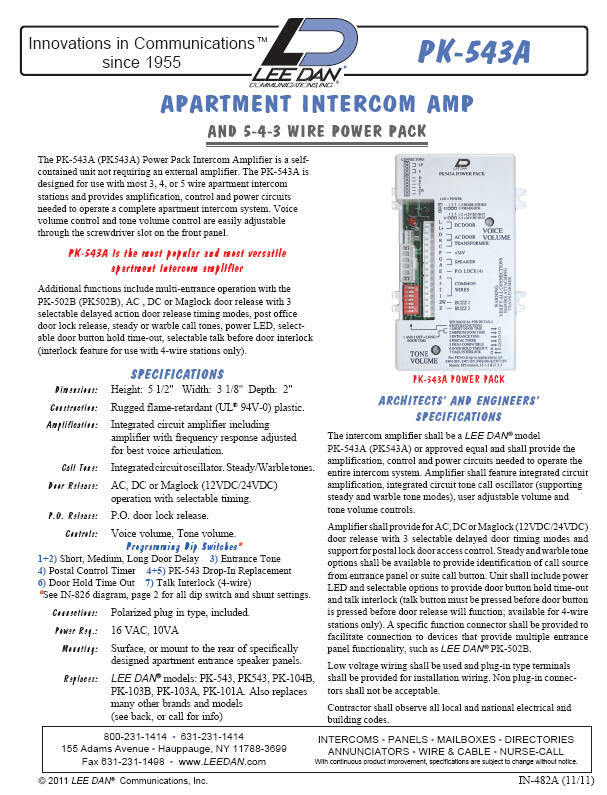 The PK-543A is designed for use with most 3-4-5 wire apartment stations and provides amplification control and power circuits needed to operate a complete apartment intercom system. Voice volume control and tone volume control are easily adjustable through the screwdriver slot on the front panel. 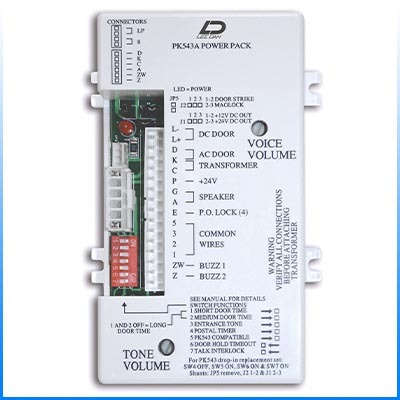 Additional functions include multi-entrance operation with the PK-502B, AC or DC door operation selectable by terminal connection with selectable delayed action door release set at the dip switch, post office door lock release and a tone signal to call remote stations. A steady or warble tone can be used to identify calling from the main entrance panel and a call button located at the suite entrance. 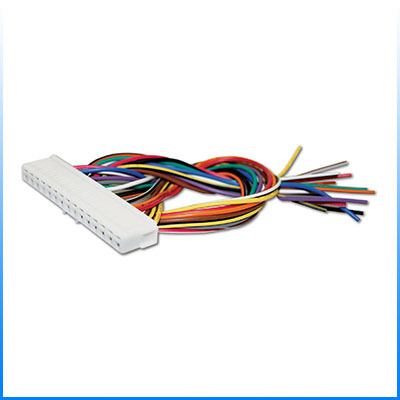 Size: 5 1/2"H, 3"1/8W, 2"D.
Connections: Polarized plug in type. Mounting: Surface, or mount to the rear of specifically designed apartment entrance speaker panels.